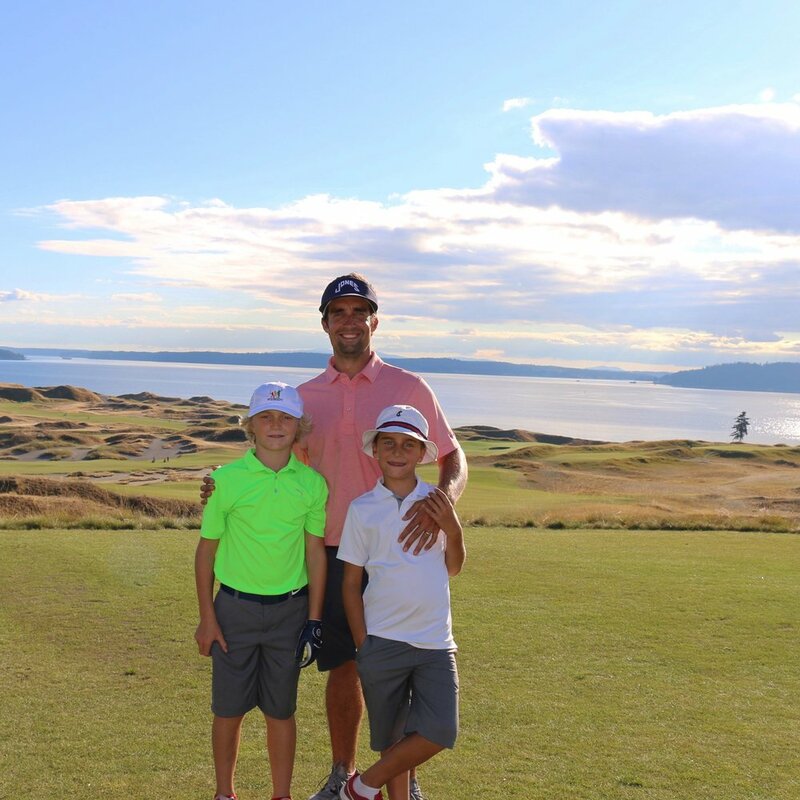 Golf is a generational experience. At a young age I tagged along with my grandpa, playing the occasional par 3 and getting to drive the cart. Golf was his game, I was merely, and literally, along for the ride. It wasn't until I turned 17 that golf took hold of me. Climate and access to golf played a key role in my delayed interest in the game. Growing up in Alaska is not conducive to being obsessed with golf (something I now deal with on a regular basis). Once I began to play on my own I loved it. Then I started to get the opportunity to play full rounds with my grandpa. 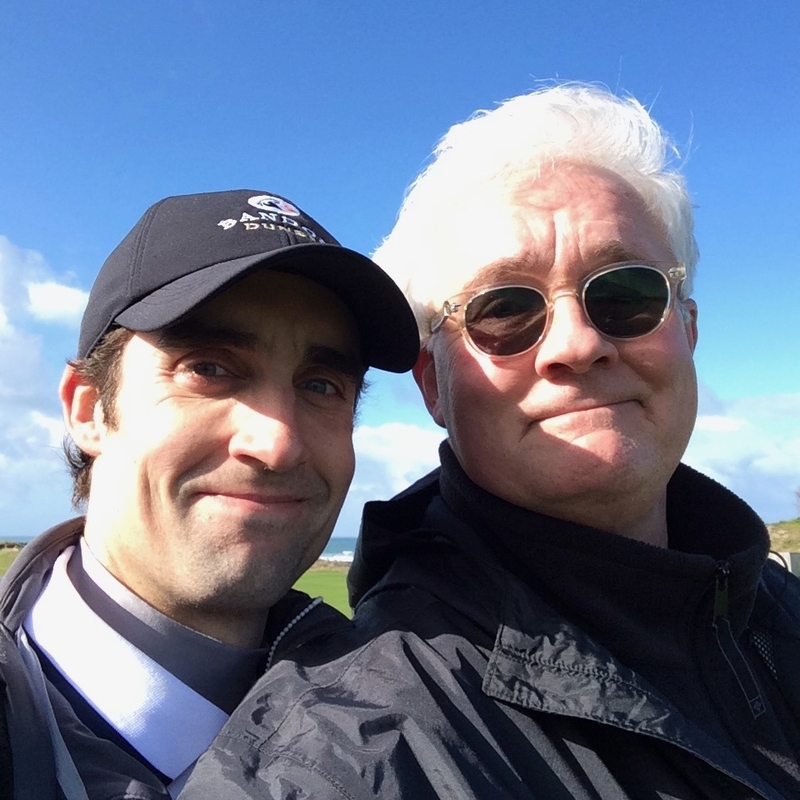 It wasn't about the amazing courses or the score, I was pretty lousy, it was the uninterrupted time I got to spend with him. My grandpa was a busy man even in semi-retirement. His success was a direct result of the time he put into his work so being able to steal away 4 hours of his time was valuable. Golf allowed me to get to know my grandpa. I learned about his secret stash of peanut butter crackers under the seat of his cart. I heard the occasional cuss word slip out when he flubbed a chip. He passed along functional knowledge of the game and a few swing tips as well. "Look at the ball, I'll tell you where it goes"
"Let the club do the work." I miss those rounds with my grandpa, he was a special man. The golf gene was not as strong with my father. In a role reversal it was my interest in the game that got my dad to dust off the clubs and head out to the course. By no means was or is he addicted to the game, he picks his spots to peg it, normally opting for the more photogenic settings. He rarely hits driver and has an impeccable foot wedge, and his best club is his Canon DSLR. He's not out there to shoot a score or work on his game. He comes to the course to enjoy the same opportunity that I enjoyed with my grandpa, to spend time with me and for that I am appreciative. My dad is a scratch photographer. Now I am a father. I have taken a different approach to golf than my grandfather did. I've taught my kids that golf is a game that can be enjoyed as easily in a backyard as on a perfectly manicured course. Selfishly I want them to embrace the game so that I get to walk fairways with them for years to come. So far that approach is going rather well. My oldest two are twelve and ten and they both join me for a quick 9 or even a full 18. I love watching their personalities come out in their golf swings and strategy. My 12 year old is methodical and precise and wants to keep score every time he plays. His swing is controlled and deliberate and gets the job done. My 10 year old has never hit a ball the same way twice. He grips and rips. He never keeps score (unless it's a 1) and wants to create shots, not repeat them. Honestly, sometimes I wonder if he puts himself in bad situations just to see if he can get himself out. It is an absolute blast being out there with them both. Golfing with your kids does take some adjustment. First and foremost patience. You're not going to have a Dustin McIlroy on your hands so expect the errant shot more than the brilliant one. Don't be afraid to pick up if the going gets tough. Don't play it as it lies and never under any circumstances go back to the box to re-tee. Think of it in basketball terms, you're playing a pickup game not the NBA finals. Lastly, keep the instruction to a minimum. Try not to muddle their minds with multiple swing thoughts. Instead, praise their successes and get them excited about the opportunity to hit the next shot. As far as your own game is concerned, this is not the time or place to attempt to best your lowest score. With regard to golf etiquette, it is best to teach by example. Avoid hypocrisy and embrace the ability to laugh at your own failures. If you show your kids that a hozzle rocket is funny then they won’t feel as bad when they do the same thing. I love golfing with my kids and I encourage you to do the same. Gimmicks and promotional techniques are used to grow the game but fostering a love for the game is more sustainable and you might just find that you’ll be able to play a little more golf. Getting the girls ready for the course via immersion. Next time you find yourself on the course with your kids share a photo and use the hashtag: #GolfWithYourKids and as always Enjoy Golf.